the Conqueror and more before bolstering their ranks with hot-tempered archer Hawkeye, mysterious warrior monarch Black Panther and the strange android the Vision. 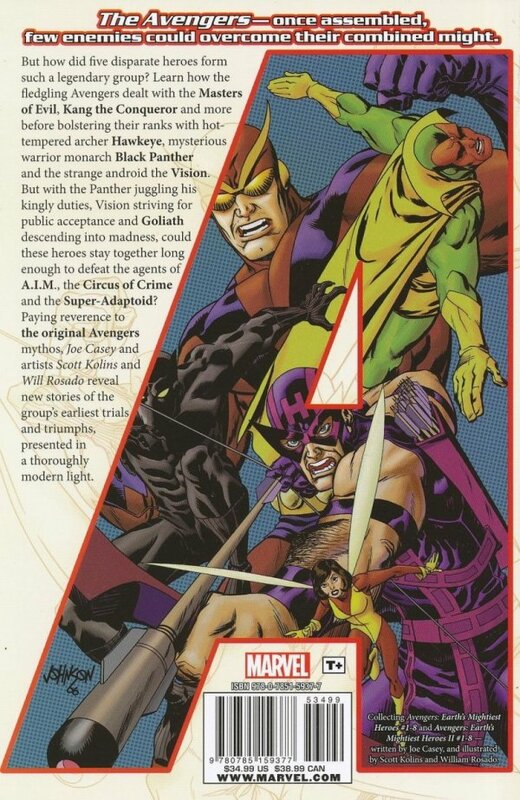 But with the Panther juggling his kingly duties, Vision striving for public acceptance and Goliath descending into madness, could these heroes stay together long enough to defeat the agents of A.I.M., the Circus of Crime and the Super-Adaptoid? Paying reverence to the original Avengers mythos, Joe Casey and artists Scott Kolins and Will Rosado reveal new stories of the group's earliest trials and triumphs, presented in a thoroughly modern light. 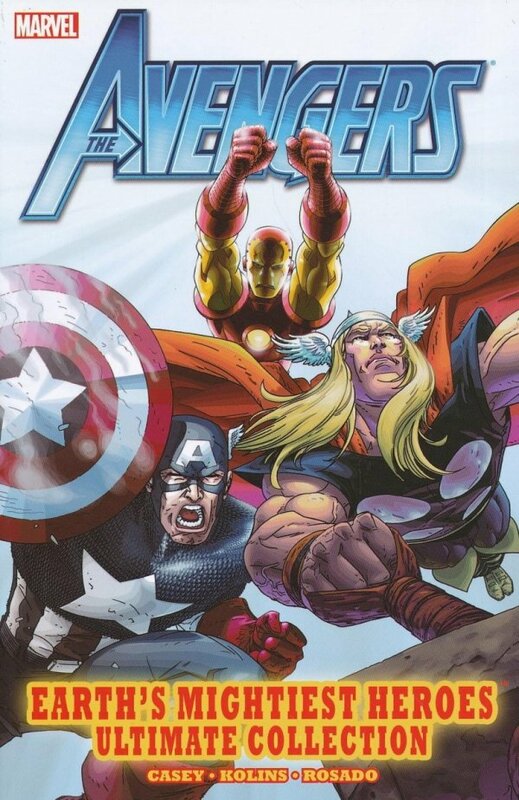 Collecting AVENGERS: EARTH'S MIGHTIEST HEROES #1-8 and AVENGERS: EARTH'S MIGHTIEST HEROES II #1-8.